Cyberbullying, shaming and group hazing are all sadly commonplace today–not that this is new. Bullying has always happened, but social media and smart phones have made bullies’ reach even further and more personal. Gone are the days when a picked-on child could run home, close the front door, and have some reprieve for a few hours. Now bullies can stalk, publicly humiliate via high-traffic platforms on the internet, and harass non-stop. Many posts on the internet are close-to-impossible to erase completely; there are copies, saved images and so many embedded traces that even if a bully is forced to take something down–it’s still there. These poor children who are humiliated in person now have the added nightmare of having the world know 24/7. Imagine a bully in the 1980’s putting out a television and radio commercial to promote their hatred of someone every hour on the hour for weeks on end. That still doesn’t come close to the reach that cyberbullying has today. It’s a terrifying thought. While I do my best to teach my daughter to have a good heart, to be kind to others, to treat everyone the way she’d want to be treated (and then do even better), to be honest, and have manners, I also try to enforce self-confidence and pride, of course. The former is much easier than the latter. Because, while I can see daily how kind-hearted and truly genuine she is in her caring of others, I know that it won’t be enough. Somewhere, sometime, somehow, she’ll run across someone who has so much insecurity of their own, so much uncorrected crass and hurtful behavior, that she will wonder why being a good person isn’t good enough. I never want her to second-guess being a kind person. Nor do I want her to ever doubt who she truly is as a person. I don’t want her to think for a moment that she should be someone or do something different because some poor idiot is telling her so. 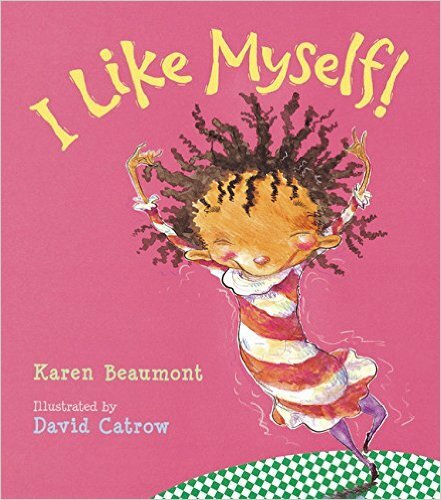 I bought this book “I Like Myself” by Karen Beaumont for her when she was in Kindergarten. It’s not an end-all, be-all confidence builder. You don’t read it and walk away thinking you’ve done your job boosting up your child’s ability to speak and care for themselves in the face of adversity. But, it’s a great start. 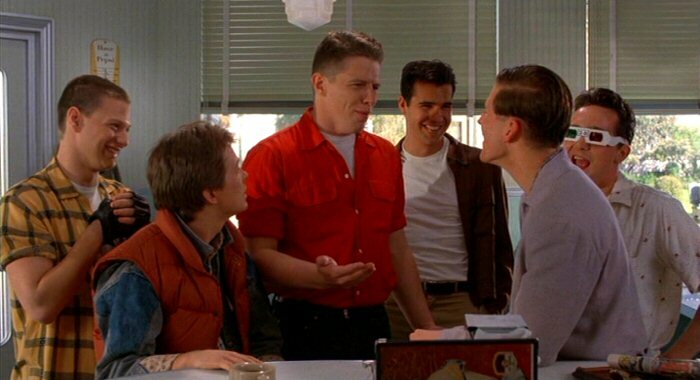 It opens up dialogue and it helps, even subliminally, remind kids that it shouldn’t matter what is going on–they’re the one and only them and that in and of itself is an admirable and amazing thing. We still read it as a quick one before bed sometimes….adding some rhythm to it and rocking it out as a song. It would be great for early childhood educators to have around, too. It’s got fantastic illustrations and is absolutely suitable for both boys and girls. My thinking is that if you start as young as possible, as often as you’re organically and naturally able to (because forced life lessons are pointless), it becomes part of their core. I’m sounding pretty corny, I suppose. Maybe I took that book to heart, too.